Dorothy Mary Crowfoot Hodgkin (12 May 1910 – 29 July 1994) was a British chemist who developed protein crystallography, for which she won the Nobel Prize in Chemistry in 1964. She advanced the technique of X-ray crystallography, a method used to determine the three-dimensional structures of molecules. Among her most influential discoveries are the confirmation of the structure of penicillin as previously surmised by Edward Abraham and Ernst Boris Chain, and the structure of vitamin B12, for which she became the third woman to win the Nobel Prize in Chemistry. In 1969, after 35 years of work, Hodgkin was able to decipher the structure of insulin. She is regarded as one of the pioneer scientists in the field of X-ray crystallography studies of biomolecules, which became an essential tool in the field of structural biology. Dorothy Mary Crowfoot was born in Cairo, Egypt, to John Winter Crowfoot (1873–1959), then working for the country's Ministry of Education and Grace Mary Crowfoot (née Hood) (1877–1957), known to friends and family as Molly. Dorothy was the oldest of three girls, born in Egypt. The family lived in Cairo during the winter months, returning to England each year to avoid the hotter part of the season in Egypt. In August 1914, during one of those stays in England, World War I began. Her mother Molly left her aged four and her two younger sisters Joan and Elisabeth, two and 7 months, respectively, with their grandparents near Worthing and returned to her husband in Egypt for four years. Soon Molly and John moved south to Sudan where John was in charge of education and archaeology until 1926. As a consequence of the First World War Molly lost all her four brothers and became an ardent supporter of the new League of Nations. When Dorothy was asked in later life to name her heroes she named three women: the medical missionary Mary Slessor; the Principal of Somerville College, Margery Fry; and, first and foremost, her mother Molly. As John Crowfoot believed his offspring should go to local schools, like the Sudanese children for whose education he was responsible, in 1921 Dorothy entered the Sir John Leman Grammar School in Beccles where she was one of two girls allowed to study chemistry. Only once, when she was 13, did she make an extended visit to her parents, now settled in Khartoum where John was Principal of Gordon College. Resuming the pre-war pattern, John and Molly lived and worked abroad for part of the year, returning to England and their children for several months every summer. In 1926, on his retirement from the Sudan Civil Service, John took the post of Director of the British School of Archaeology in Jerusalem, where he and Molly remained until 1935. Dorothy developed a passion for chemistry from a young age, and her mother, a highly proficient botanist, fostered her interest in all the sciences. She was further encouraged by the chemist A.K. Joseph, a family friend who also worked in Sudan. Her State school education did not include Latin, then required for entrance to Oxbridge, and the Leman School headmaster gave her personal tuition to overcome this barrier, enabling her to pass the University of Oxford entrance examination. At the age of 18 she started studying Chemistry at Somerville College, Oxford. In 1932 Dorothy was awarded a first-class honours degree at the University, the third woman to achieve this distinction. It was when she was doing research for her Doctor of Philosophy at Newnham College, Cambridge, supervised by John Desmond Bernal, that Hodgkin became aware of the potential of X-ray crystallography to determine the structure of proteins. She was working with Bernal on the technique's first application to the analysis of a biological substance, pepsin. The pepsin experiment is largely credited to Dorothy herself, but she always made it clear that it was Bernal who initially took the photographs and gave her additional key insights. Her PhD was awarded in 1937 for research on X-ray crystallography and the chemistry of the sterols. In 1933 Hodgkin was awarded a research fellowship by Somerville College, and in 1934, she moved back to Oxford. The college appointed her its first fellow and tutor in chemistry in 1936, a post which she held until 1977. In the 1940s, one of her students was Margaret Roberts, the future Prime Minister Margaret Thatcher, who installed a portrait of Hodgkin in Downing Street in the 1980s, though Hodgkin was a Labour supporter. Together with Sydney Brenner, Jack Dunitz, Leslie Orgel, and Beryl M. Oughton, Hodgkin was one of the first people (in April 1953) to travel from Oxford to Cambridge to see the model of the double helix structure of DNA, constructed by Francis Crick and James Watson, based on data and technique acquired by Maurice Wilkins and Rosalind Franklin. According to the late Dr. Beryl Oughton (married name, Rimmer), they all travelled together in two cars after Hodgkin announced that they were off to Cambridge to see the model of the structure of DNA. In 1960, Hodgkin was appointed the Royal Society's Wolfson Research Professor, a position she held until 1970. This provided her salary, research expenses and research assistance to continue her work at the University of Oxford. She was a Fellow of Wolfson College, Oxford from 1977 to 1983. Hodgkin was particularly noted for discovering three-dimensional biomolecular structures. In 1945, working with C.H. (Harry) Carlisle, she published the first such structure of a steroid, cholesteryl iodide (having worked with cholesteryls since the days of her doctoral studies). In 1945, Hodgkin and her colleagues solved the structure of penicillin, demonstrating (contrary to scientific opinion at the time) that it contains a β-lactam ring. The work was not published until 1949. In 1948, Hodgkin first encountered vitamin B12, and created new crystals. Vitamin B12 had first been discovered at Merck earlier that year. It had a structure at the time that was almost completely unknown, and when Hodgkin discovered it contained cobalt, she realized the structure actualization could be determined by x-ray crystallography analysis. The large size of the molecule, and the fact that the atoms were largely unaccounted for—aside from cobalt—posed a challenge in structure analysis that had not been previously explored. From these crystals, she deduced the presence of a ring structure because the crystals were pleochroic, a finding which she later confirmed using X-ray crystallography. The B12 study published by Hodgkin was described by Lawrence Bragg as being as significant "as breaking the sound barrier". Scientists from Merck had previously crystallised B12, but had published only refractive indices of the substance. The final structure of B12, for which Hodgkin was later awarded the Nobel Prize, was published in 1955. Insulin was one of Hodgkin's most extraordinary research projects. It began in 1934 when she was offered a small sample of crystalline insulin by Robert Robinson. The hormone captured her imagination because of the intricate and wide-ranging effect it has in the body. However, at this stage X-ray crystallography had not been developed far enough to cope with the complexity of the insulin molecule. She and others spent many years improving the technique. Larger and more complex molecules were tackled until in 1969–35 years later—the structure of insulin was finally resolved. But her quest was not finished then. She cooperated with other laboratories active in insulin research, gave advice, and travelled the world giving talks about insulin and its importance for diabetes. Hodgkin's mentor Professor John Desmond Bernal greatly influenced her life: scientifically, politically, and personally. Bernal was a key scientific adviser to the UK government during the Second World War. He was also an open and vocal member of the Communist Party and a faithful supporter of the Soviet regime until its invasion of Hungary in 1956. Hodgkin always referred to him as "Sage"; they were lovers before she met Thomas Hodgkin. Both Hodgkin and Bernal were in unconventional marriages, by the standards of both those and present days. In 1934, at the age of 24, Hodgkin began experiencing pain in her hands:a visit to a doctor led to a diagnosis of rheumatoid arthritis which would become progressively worse and crippling over time, with deformities in both her hands and feet. In her last years, Hodgkin spent a great deal of time in a wheelchair but remained scientifically active despite her disability. In 1937, Hodgkin married Thomas Lionel Hodgkin. He had not long returned from Palestine where he had resigned from the Colonial Office and was working in adult education. He was an intermittent member of the Communist Party and later wrote several major works on African politics and history, becoming a well-known lecturer at Balliol College in Oxford. The couple had three children: Luke (b. 1938), Elizabeth (b. 1941) and Toby (b. 1946). Hodgkin published as "Dorothy Crowfoot" until 1949, when she was persuaded by Hans Clarke’s secretary to use her married name on a chapter she contributed to The Chemistry of Penicillin. By then she had been married for 12 years, given birth to three children and been elected a Fellow of the Royal Society (FRS). Thereafter she would publish as "Dorothy Crowfoot Hodgkin", and this was the name used by the Nobel Foundation in its award to her and the biography it included among other Nobel Prize recipients; it is also what the Science History Institute calls her. For simplicity's sake, Hodgkin is referred to as "Dorothy Hodgkin" by the Royal Society, when referring to its sponsorship of the Dorothy Hodgkin fellowship, and by Somerville College, after it inaugurated the annual lectures in her honour. The National Archives of the United Kingdom refer to her as "Dorothy Mary Crowfoot Hodgkin"; on a variety of plaques commemorating places where she worked or lived, e.g. 94 Woodstock Road, Oxford, she is "Dorothy Crowfoot Hodgkin". Between the 1950s and the 1970s Hodgkin established and maintained lasting contacts with scientists in her field abroad—at the Institute of Crystallography in Moscow; in India; and with the Chinese group working in Beijing and Shanghai on the structure of insulin. Her first visit to China was in 1959. Over the next quarter century she travelled there seven more times, the last visit a year before her death. Particularly memorable was the visit in 1971 after the Chinese group themselves independently solved the structure of insulin, later than Hodgkin's team but to a higher resolution. During the subsequent three years, 1972–1975, when she was President of the International Union of Crystallography she was unable to persuade the Chinese authorities, however, to permit the country's scientists to become members of the Union and attend its meetings. Her relations with a supposed scientist in another "People's Democracy" had less happy results. At the age of 73, Hodgkin wrote a foreword to the English edition of Stereospecific Polymerization of Isoprene, published by Robert Maxwell as the work of Elena Ceausescu, wife of Romania's communist dictator. Hodgkin wrote of the author's "outstanding achievements" and "impressive" career. Following the overthrow of the Ceausescu during Romanian Revolution of 1989, it was revealed that Elena Ceausescu had neither finished secondary school nor attended university. Her scientific credentials were a hoax, and the publication in question was written for her by a team of scientists to obtain a fraudulent doctorate. Because of Hodgkin's political activities, and her husband Thomas's association with the Communist Party, she was banned from entering the US in 1953 and subsequently not allowed to visit the country except by CIA waiver. In 1961 Thomas became an advisor to Kwame Nkrumah, President of Ghana, a country he visited for extended periods before Nkrumah's ouster in 1966. Hodgkin was in Ghana with her husband when they received the news that she had been awarded the Nobel Prize. Hodgkin was never a communist, but she shared with her mother Molly a concern about social inequalities and a determination to do what she could to prevent armed conflict and, in particular, the threat of nuclear war. She became president of the Pugwash Conference in 1976 and served longer than any who preceded or succeeded her in this post. She stepped down in 1988, the year after the Intermediate-Range Nuclear Forces Treaty imposed "a global ban on short- and long-range nuclear weapons systems, as well as an intrusive verification regime". She accepted the Lenin Peace Prize from the Soviet government in 1987 in recognition of her work for peace and disarmament. Hodgkin decided not to attend the 1987 Congress of the International Union of Crystallography in Australia on grounds of distance. In 1993, despite increasing frailty, she astounded close friends and family by her determination to go to Beijing for the next Congress, where she was welcomed by all. The following July Hodgkin died after a stroke at her husband's home in the village of Ilmington, near Shipston-on-Stour, Warwickshire. 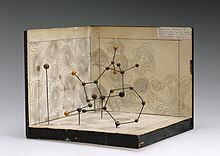 The National Portrait Gallery, London lists 17 portraits of Dorothy Hodgkin including an oil painting of her at her desk by Maggi Hambling and a photograph portrait by David Montgomery. Graham Sutherland made preliminary sketches for a portrait of Dorothy Crowfoot Hodgkin in 1978. One sketch is in the collection of the Science History Institute and another at the Royal Society in London. The portrait was never finished. A portrait of Dorothy Hodgkin by Bryan Organ was commissioned by private subscription to become part of the collection of the Royal Society. Accepted by the president of the society on 25 March 1982, it was the first portrait of a woman Fellow to be included in the Society's collection. Hodgkin won the 1964 Nobel Prize in Chemistry and as of 2016 remained the only British woman scientist to have been awarded a Nobel Prize in any of the three sciences it recognises. In 1965 she was the second woman in 60 years, after Florence Nightingale, to be appointed to the Order of Merit by a king or queen. She was the first and, as of 2016, remains the only woman to receive the prestigious Copley Medal. Elected a Fellow of the Royal Society (FRS) in 1947 and EMBO Membership in 1970., Hodgkin was Chancellor of the University of Bristol from 1970 to 1988. In 1958, she was elected a Foreign Honorary Member of the American Academy of Arts and Sciences. In 1966, she was awarded the Iota Sigma Pi National Honorary Member for her significant contribution. She became a foreign member of the USSR Academy of Sciences in the 1970s. In 1982 she received the Lomonosov Medal of the Soviet Academy of Sciences and in 1987 she accepted the Lenin Peace Prize from the government of Mikhail Gorbachev. The communist government of Bulgaria awarded her its Dimitrov Prize. An asteroid (5422) discovered on 23 December 1982 by L.G. Karachkina (at the Crimean Astrophysical Observatory, M.P.C. 22509, in the USSR) was named "Hodgkin" in her honour. In 1983, Hodgkin received the Austrian Decoration for Science and Art. British postage stamps have twice commemorated Hodgkin. She was one of five 'Women of Achievement' selected for a set issued in August 1996. The others were Marea Hartman (sports administrator), Margot Fonteyn (ballerina/choreographer), Elisabeth Frink (sculptor) & Daphne du Maurier (writer). All except Hodgkin were Dames Commander of the Order of the British Empire (DBEs). In 2010, during the 350th anniversary of the founding of the Royal Society, Hodgkin was the only woman in a set of stamps celebrating ten of the Society's most illustrious members, taking her place alongside Isaac Newton, Edward Jenner, Joseph Lister, Benjamin Franklin, Charles Babbage, Robert Boyle, Ernest Rutherford, Nicholas Shackleton and Alfred Russel Wallace. The Royal Society awards the Dorothy Hodgkin Fellowship (named in her honour) "for outstanding scientists at an early stage of their research career who require a flexible working pattern due to personal circumstances, such as parenting or caring responsibilities or health-related reasons." The Council offices in the London Borough of Hackney and buildings at University of York, Bristol University and Keele University are named after her, as is the science block at Sir John Leman High School, her former school. In 2012, Hodgkin featured in the BBC Radio 4 series The New Elizabethans to mark the diamond Jubilee of Queen Elizabeth II. A panel of seven academics, journalists and historians named her among the group of people in the UK "whose actions during the reign of Elizabeth II have had a significant impact on lives in these islands and given the age its character". In 2015 Hodgkin's 1949 paper The X-ray Crystallographic Investigation of the Structure of Penicillin was honoured by a Citation for Chemical Breakthrough Award from the Division of History of Chemistry of the American Chemical Society presented to the University of Oxford (England). This research is notable for its groundbreaking use of X-ray crystallography to determine the structure of complex natural products, in this instance, of penicillin. Since 1999, the Oxford International Women's Festival has presented an annual memorial lecture, usually in March, in honour of Hodgkin's work. The Lecture is a collaboration between Oxford AWiSE (Association for Women in Science & Engineering), Somerville College and the Oxford University Museum of Natural History. What's the good word on Dorothy Hodgkin?